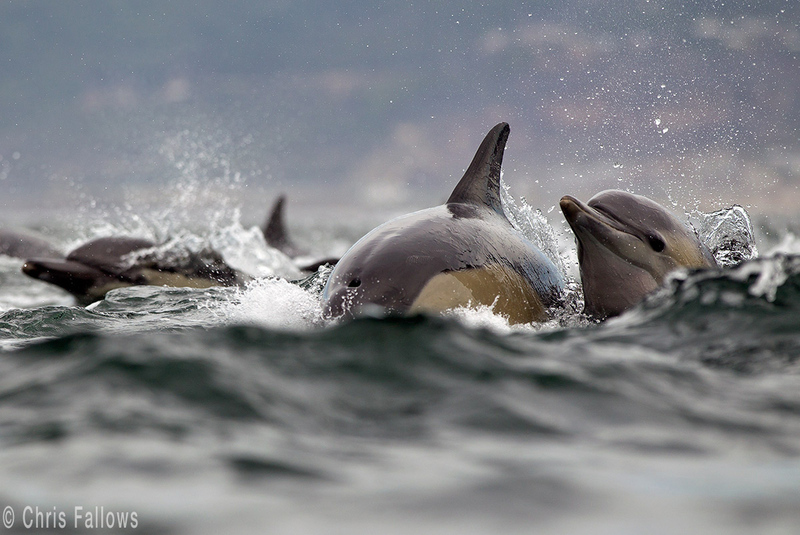 False Bay in Cape Town is the only place where breaching great white sharks may be observed and photographed and is also known for its schools of dolphins, orcas, seals and pelagic events. 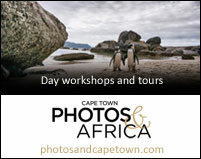 Apex Predators is run and managed by world-renowned conservationists and photographers Chris and Monique Fallows. 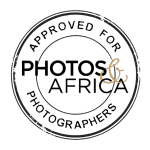 They are passionate about what they do and have experience working with BBC and the Discovery Channel. The company offers shark cage diving trips as well as whale watching and more general marine tours. 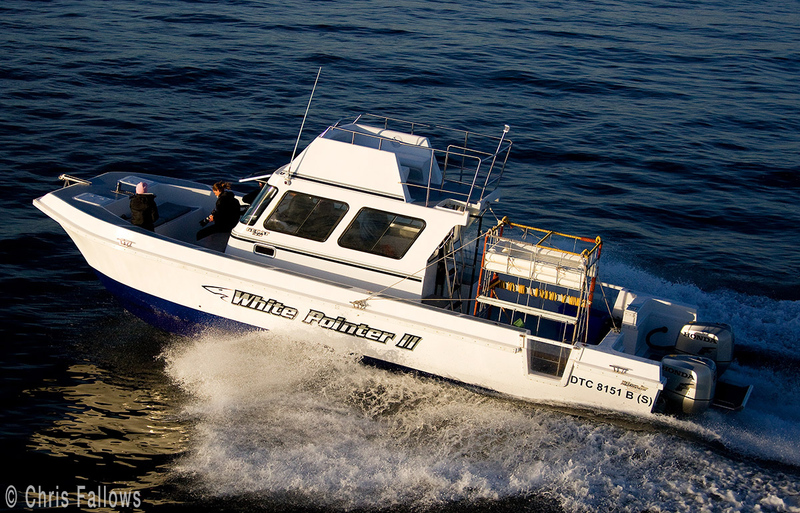 Guests can expect an excellent and highly educational experience of pelagic birds and other marine life. 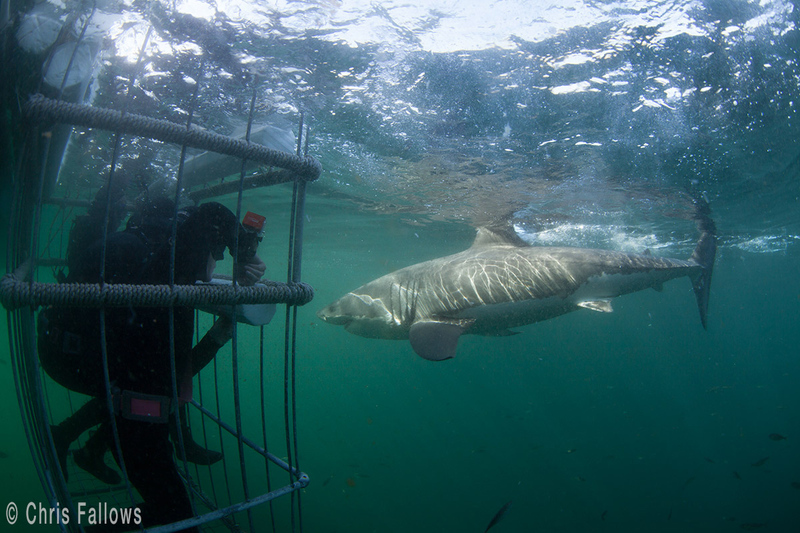 July and August is the best time for seeing great white sharks in False Bay. Southern right whales occur in large numbers from August to November. 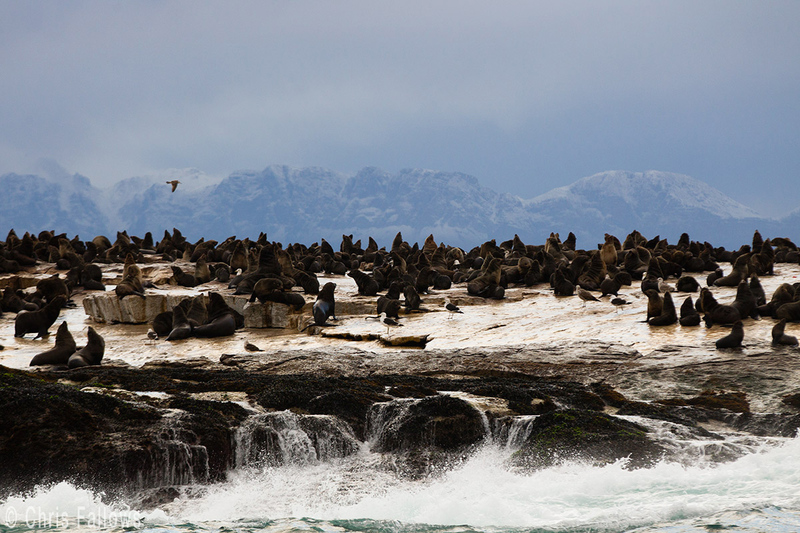 Exceptional pelagic bird trips are offered during the Southern Hemisphere’s summer months. Mornings generally offer better breaching activity, but afternoons can also be very productive. 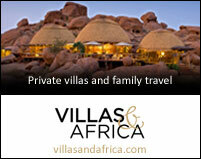 The winter season (June to September) is extremely popular, and you need to book way in advance to get space. If you want to be assured of the best experience, you should book a two or a three-dive package. Chris and Monique Fallows are ardent conservationists through their books, magazine articles and also for work done educating fishermen about the importance of great white sharks. The boat leaves from Simon’s Town, which is 45 minutes from central Cape Town. There are morning and afternoon trips. 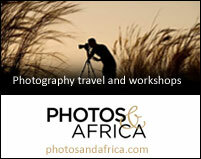 Costs vary from R2400 (mornings) to R1900 (afternoons). Mornings are generally the best time to see breaching behaviour. 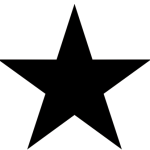 Private charters may also be arranged. Trips can be cancelled last minute if the seas become too rough. 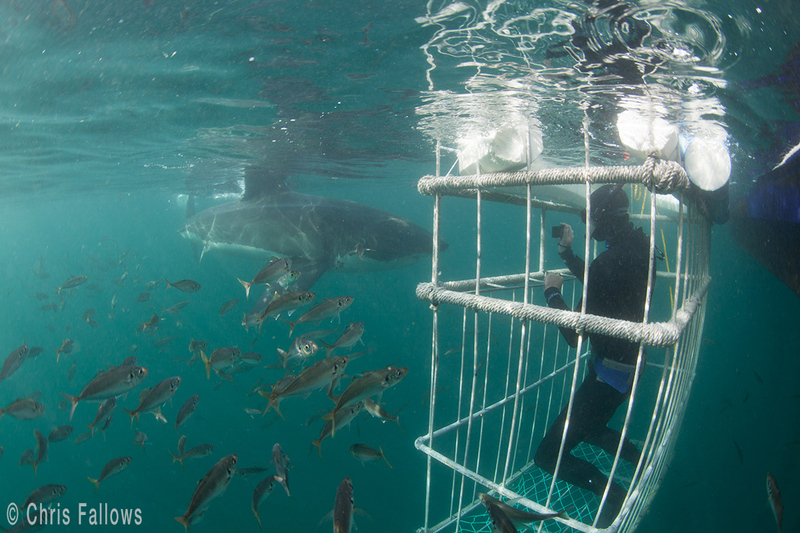 Mostly, sharks are attracted to the cage by chumming, which means throwing fish entrails into the water. This apparently does not affect behaviour as the sharks are not actually fed; they are just lured to the boat and the cage. 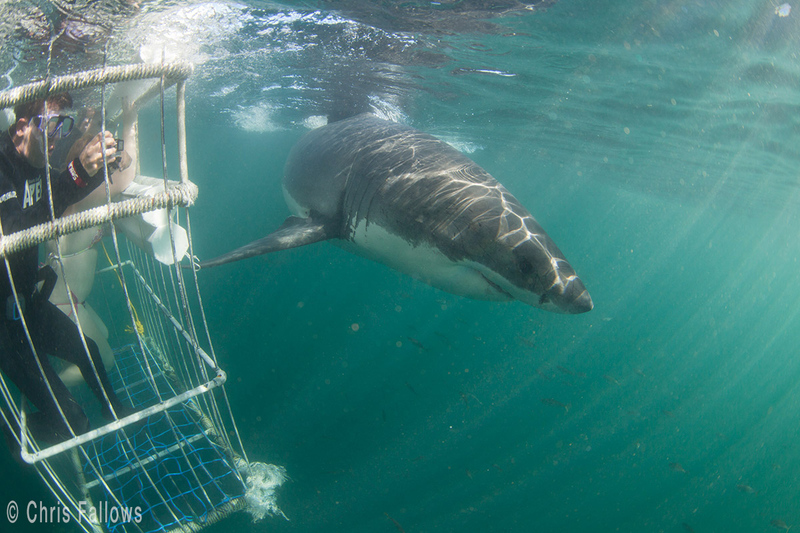 If you want to stay dry it is possible to get great shots from the boat, but being in the shark cage in the water, with an underwater camera, is ideal. Towing a decoy of a seal creates the once-in-a-lifetime chance to photograph a shark in mid-air, but as Chris points out, not every day is a National Geographic day. You may not get Chris as your guide, but everyone on the team is very experienced.